Metra Home Theater Group has added the M3B (Metra Multimedia Broadcast) System to its lineup of products. Metra Home Theater Group has added the M3B (Metra Multimedia Broadcast) System to its lineup of products. The M3B Systems which comes in hardwired and wireless verions and enables integrators to install either a flexible, multi-source video distribution system into any home using the existing coax and splitters, or a point-to-point, long-distance wireless system. The coax-based M3B System consists of receivers (RF RX), transmitters (RF TX), and a wireless system. This M3B System allows integrators to provide multiple sources to multiple displays at 1080p over common coax and splitters with easy setup and a simple source selection via any programmable remote, thus eliminating the need for a control system. Source selections are made by changing the input on the display side receiving unit. No networking skills are required for the installation. The RF TX transmitters make it simple to setup sources via provided channel selection buttons and include an LED channel display and 100-channel output selection. The RF RX receivers include the remote control for source selection as well as a complete hex code setup for learning remotes, an IR receiver, and the same LED channel display and 100-channel output selection seen in the RF TX transmitter. The M3B wireless system works up to 200 meters line of sight with full 1080p support, allowing RF signal transmission through walls. In addition, optional Enhance Performance Antennas are available to boost signals if distance dictates. “The M3B System is a true game-changer,” said Jessy Crabb, general manager of Metra Home Theater Group. “Residential video distribution has just become much simpler and far less expensive than with any other solution currently on the market. 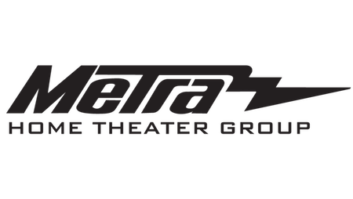 Metra Home Theater Group will showcase the M3B Systems, along with its entire product line, at CEDIA EXPO 2015 Booth #4942, October 14-17, in Dallas, TX.